In all my years as a marketer, there are few questions that have caused more confusion and consternation than this. Plenty of businesses know how to get people to opt into an email list. Few know what to do after the opt-in. 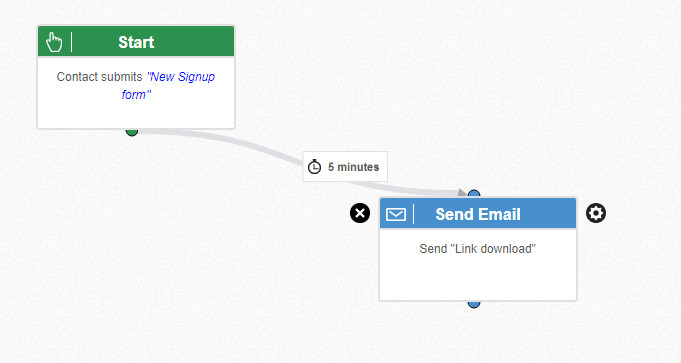 The path a subscriber follows after he signs up for an email list is defined by your email workflow. This workflow can be a simple two-step process. Or it can be a complex labyrinth of deliverables and downloadables spread across dozens of emails. 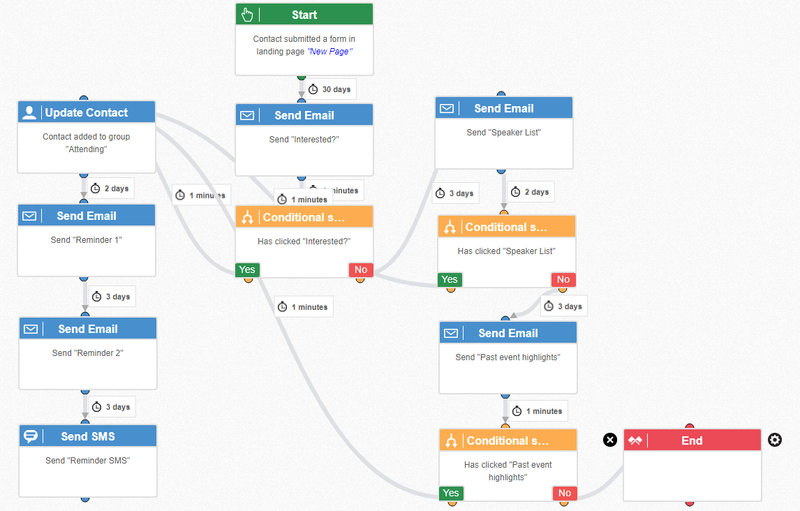 Using the right email workflows can dramatically improve your marketing automation results. 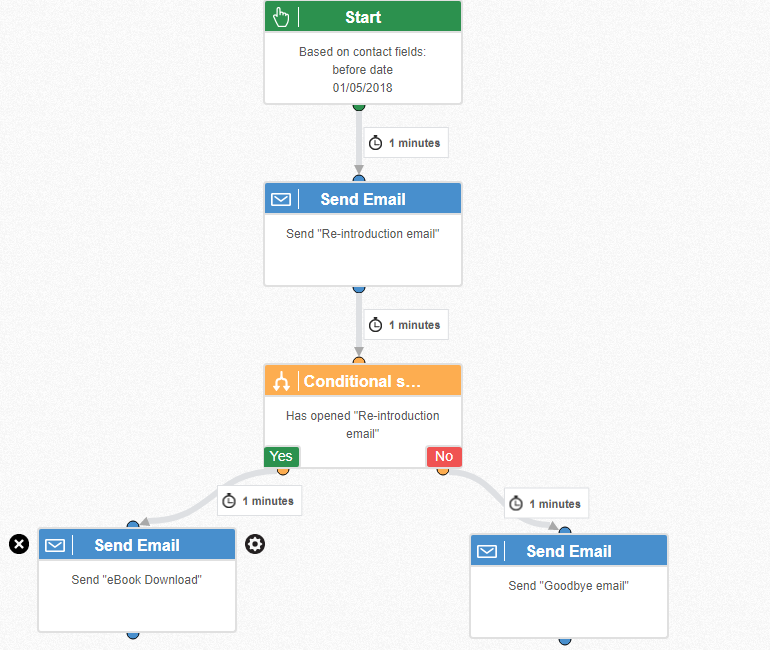 So in this guide, I’ll look at 7 common automated email workflows and how to set them up in your email marketing automation software. First impressions matter, and the easiest way to make one is to send new blog subscribers a warm, friendly welcome email. To remind subscribers of the context of the subscription, i.e. the blog name, subscription date, and, if possible, the blog post they were reading at the time of the subscription. To set expectations by informing subscribers of the blog’s content, update frequency, and what they can expect in each update. To inform subscribers of the subscription terms, including options to change update frequency and unsubscribe. The second bit is particularly important in the post-GDPR world. You want to inform subscribers that by sharing their emails, they’ve agreed to be emailed from time to time with additional content. Give them a way to opt out of future emails to make sure you’re GDPR compliant. Every list carries a fair share of “dead weight” – subscribers who don’t engage with your content, don’t click on links, and don’t even open emails. There can be many reasons for this lack of engagement. Maybe you didn’t send them the right kind of content. Maybe their needs have been fulfilled. Or maybe you were just not the right fit. You can spot completely disengaged subscribers and remove them from your list. This will reduce costs and improve the overall delivery rate. Send these subscribers an email where you re-introduce yourself and the circumstances of their original opt-in. Reaffirm your values, benefits, and commitments. Send subscribers who chose Option A, a thank you email confirming their cancellation. Also, include a link to re-subscribe should they change their mind. 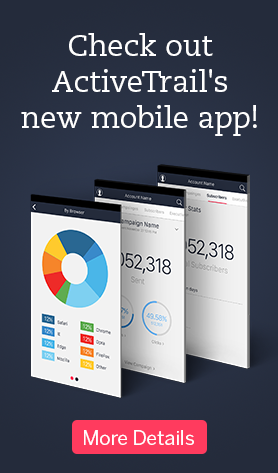 A new customer just signed-up for your product or service. You want to introduce them to your business, help them understand the product better, or even send a project proposal. The easiest way to do this is through a series of onboarding emails. 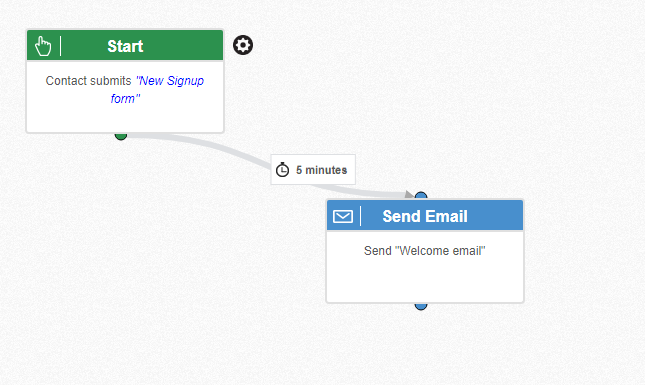 Onboarding workflows are extremely flexible. You can limit them to a few lessons, or have multiple branched chains depending on the kind of customer you’re dealing with, or the content you want to serve them. 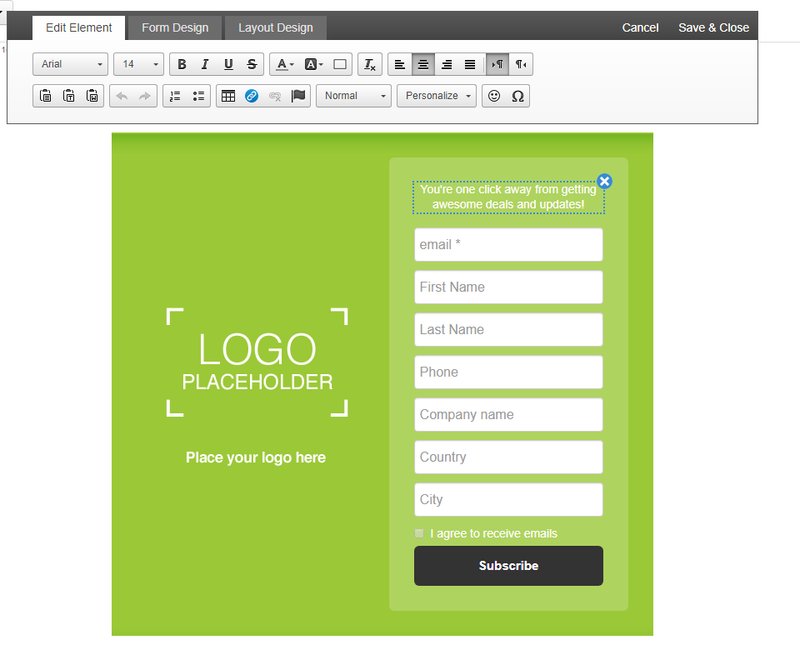 So how do you acquire additional lead data without using long, intimidating forms? Easy: by breaking down the data acquisition process into multiple steps. To use this process, you need to list all the data you need and organize them by priority. Ask for highest-priority data first and move progressively down the priority list. By segregating the data acquisition process into multiple steps, you ensure that a) your subscribers stay engaged, and b) you get higher-quality data. This also acts as a way to nurture leads since anyone who is ready to opt into multiple offers is likely already interested in your offer. Not every lead you acquire is ready to be turned over to sales. Surveys show that while 61% of marketers send leads directly to sales, only 27% of leads are actually qualified (one of the reasons for the eternal sales-marketing divide). 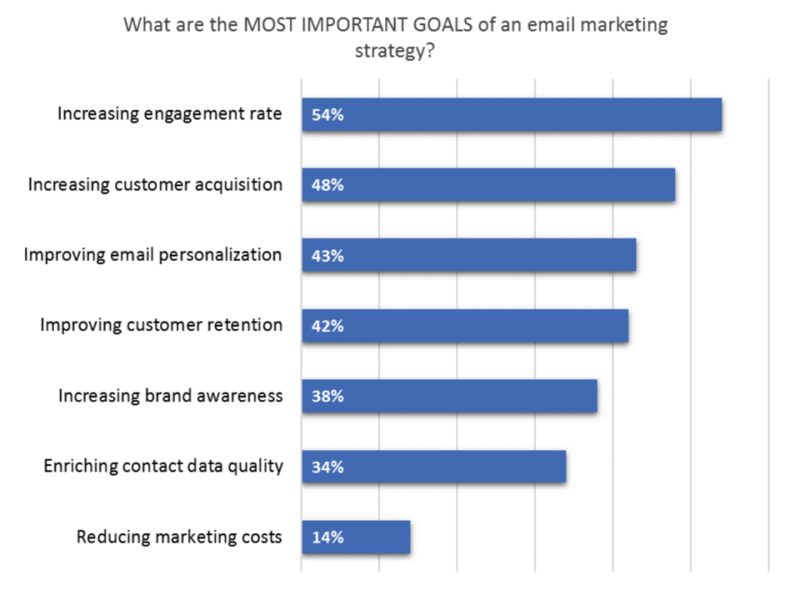 The best way to solve this problem is with a solid lead nurturing campaign. In fact, an Ascend2 survey found that 57% of marketers rated lead nurturing as the most valuable feature in marketing automation software. The lead nurturing workflow essentially works by sending leads targeted content and mapping their interest. Leads get different content based on their content consumption patterns. The objective is to introduce them to your products and improve segmentation. For leads acquired through Post A, it is feasible to imagine that they would be interested in email marketing content. But given the breadth of inbound marketing as a subject, you can’t really tell what leads acquired through Post B are interested in. 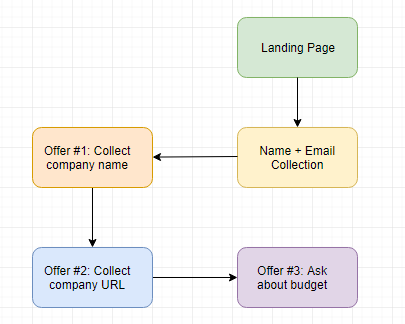 With this workflow, you’ll send increasingly targeted content to each lead. The more content a lead consumes based on a topic, the stronger its intent and interest. A lead consuming highly-targeted, high-value content is ready to be sent to sales. Events – online or offline – are complex and expensive endeavors. They’re also excellent for conversions. If you’re holding an event, you need to maximize your returns. An event workflow can go a long way in reducing your effort while still delivering exceptional value to subscribers. This the leads you capture at the end of the workflow would be highly targeted and ideal for following up with a sales offer. Collecting emails is easy. Knowing what to do with them is the hard part. A well-crafted email workflow can help you segment, nurture, and even close leads completely on autopilot. 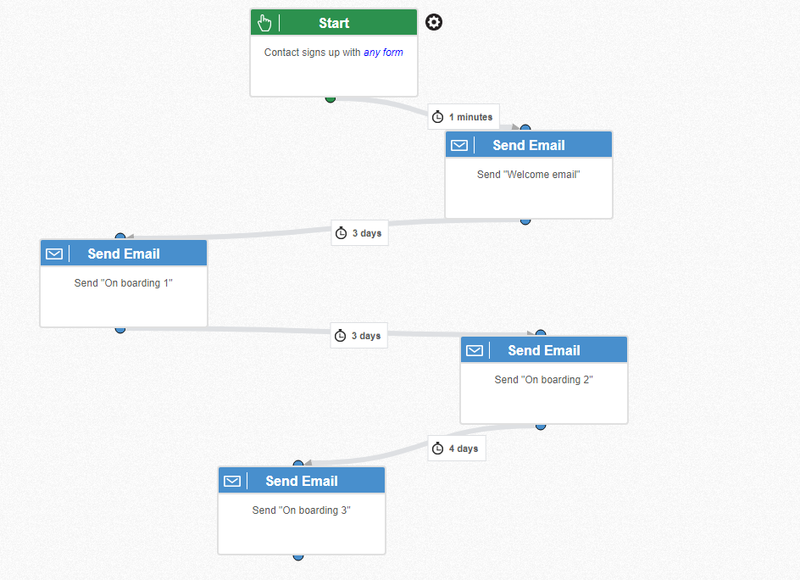 Use these seven email workflows as templates for more effective marketing automation campaigns. Add or remove from them as necessary. And while you’re at it, use a better automation suite such as ActiveTrail. Jeff Sullivan, content manager at Workamajig.